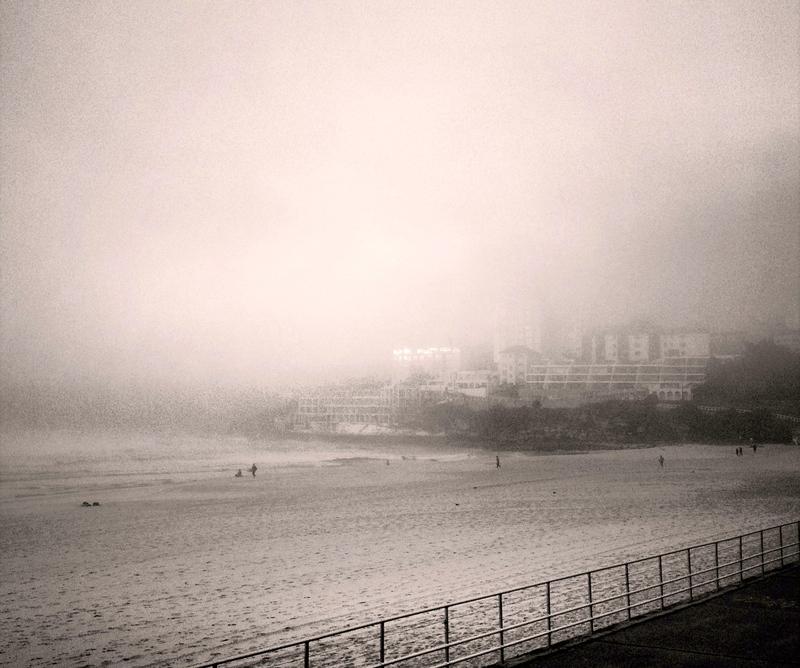 How eerie was Bondi this morning? I went down to check the surf, which turned out to be quite a challenge because the ocean was covered in a big fat blanket of fog. I was contemplating if I should go at all but figured the fog will lift sooner or later and you never know, right? There might amazing waves hidden under the blanket. 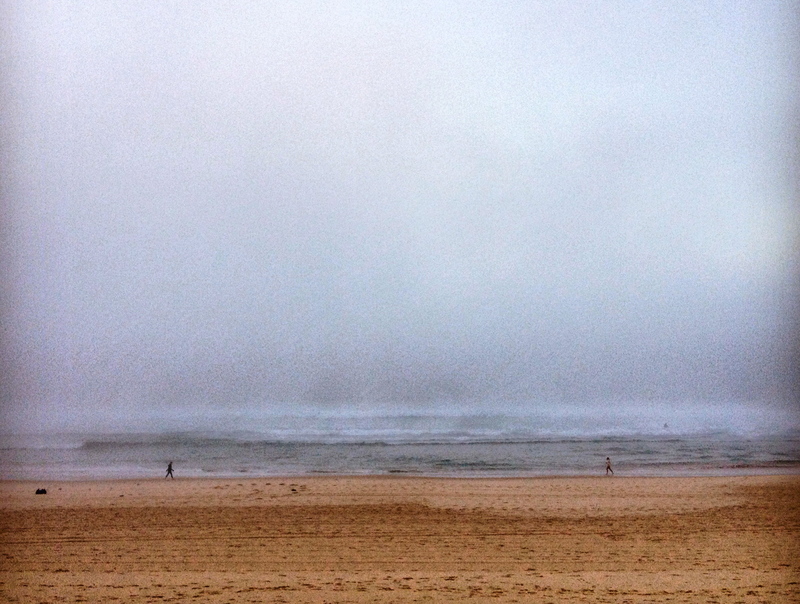 When I walked down the beach it was so weird you could hardly see anything. It looked like the ocean got replaced by a wall of thick clouds. I was a bit hesitant to get in at first as you really could not see what’s out there. It could have been 6ft close-out bombs or it could have been flat (well, ok 6ft close-out bombs would have made a bit more noise). You did not know where to paddle out because you could not tell where the rips were either. But hey I like a good challenge. You just had to rely on your instincts instead. It also helps if you’ve surfed the break a million times. I would not go out in a break I’m not familiar with in such conditions but I kind of figured it would not be so different to yesterday. I was so drawn into this weird and wonderful world that it was this morning. I left the shore and next time I turned around I could not see the beach anymore and I could not see much ahead of me either. Further away I could not make out some other shapes in the water. I was mesmerised to start with. It could have been a dream sequence. I almost forgot to catch waves. Even if I did not catch any great waves, I’m glad I went anyway. It reminded me off other weird and wonderful surfs I had… like the glow in the dark night surfing or full moon surfs. It also reminded me off one of the best waves I’ve ever had. I was staying out too late and it got quite dark. I caught my last wave in. I could not see properly but I could feel the wave and I had one of the best rides all the way to the beach nevertheless. It made me realise you don’t always have to see with your eyes to connect to the ocean. So next time you out there, maybe try to close your eyes for a second see what it feels to be in the ocean without using your eyes. It’s quite beautiful.